Elections are over, but that doesn’t mean controversial topics aren’t still a part of our everyday lives, amiright? 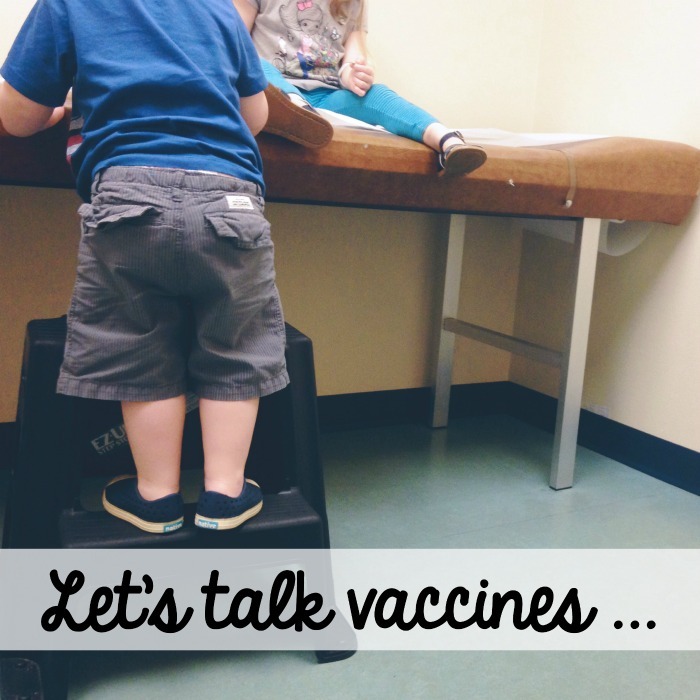 So, in honor of Vaccine Awareness Week it only seems fitting that I spill a little on vaccinations … one of those hot topics that spark camps of strong opinions, like, REALLY strong opinions. 2) Every parent has the responsibility to research and make their own decision … I respect yours and I sure hope you’ll respect mine. 3) There isn’t a right answer when it comes to vaccinations or any other parenting decision we encounter. We’re all doing the best we can. 4) Just because you or I decided one thing once upon a time, it doesn’t mean we can’t change our mind when our knowledge base expands. This has been so freeing for me in my journey as a mom; it’s what compels me to continue reading, consulting and seeking out experts who know more on various subjects that I. 5) And this may be the conservative in me speaking, but questioning what the government recommends isn’t a bad idea. I kind of consider it due diligence. And you better believe when it comes to my kids, I’ll be due diligencing until the cows come home. With all of that said, I’ll close with a few resources – some scientific, some anecdotal – I’ve found helpful in my understanding of vaccinations. Most of all, I highly recommend building a healthcare community. One person will never have all the answers, so determine who you can reach out to, compare notes and ask questions. Consider talking to someone with similar values, someone who can interpret things you don’t understand, someone with a degree, someone who has seen a vaccine injury, someone who has seen a disease ravage a family, someone who vaccinates no matter what and someone who would never consider it. There is a lot of learning to be done! There are 3 kinds of people: lazy people, stupid people, and people who seek out their own answers. The first category is by far the largest. Vaccines have become the most controversial topic for parents and doctors today. Most of you want to vaccinate your children, but you also want to know about the risks and side effects of the shots. You don’t just want to be told, “Vaccines are perfectly safe and none of the concerns you read about in the media and on the internet have been proven to be true.” You want, and deserve, a fair, scientific and straightforward discussion of the shots you are giving your child. If you choose to vaccinate, always keep a written record of exactly which shots/vaccines you or your child have received, including the manufacturer’s name and vaccine lot number. Write down and describe in detail any serious health problems that develop after vaccination and keep vaccination records in a file you can access easily. Obviously, the upside of getting a flu vaccine should be immunity from the flu. Unfortunately, if the wrong strain is included in the vaccine, this won’t be accomplished. … rushing a vaccine to widespread use, history has shown, could be tragic, not only by infecting the healthy but also by delaying the development of safe and effective vaccines. 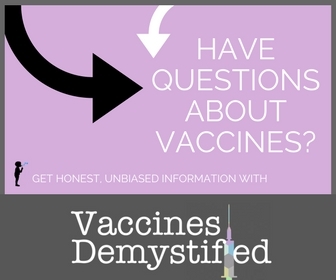 As new parents, we wanted to dig deep into this complex and polarizing issue so that we could learn firsthand what experts believe, share that information with the public, and open the hearts and minds of viewers to the fact that vaccine injuries do occur. What research have you done to determine what is best for you and your family?